No fewer than 13 people were killed in a suicide bomb attack suspected to be carried out by Boko Haram members inside a mosque in the Far Northern region of Cameroon this morning. "The suicide attack took place at 5:40 a.m. (2340 ET) in a mosque at Kouyape. 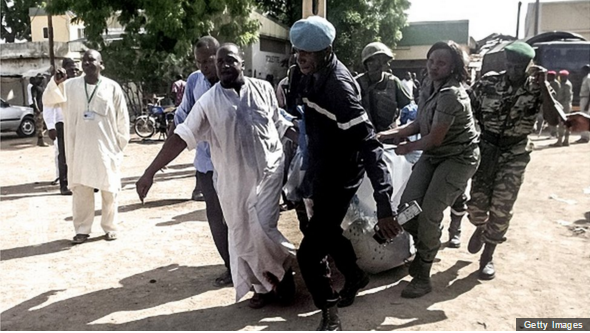 There were 13 deaths including the man who blew himself up and one wounded," a senior Cameroonian official who declined to be identified told Reuters.